We understand that sometimes your travel plans change. We do not charge a change or cancel fee. However, this property (Tiki Hotel Surfers Paradise) imposes the following penalty to its customers that we are required to pass on: Cancellations or changes made after 2:00 PM ((GMT+10:00)) on Apr 21, 2019 are subject to a 1 Night Room & Tax penalty. If you fail to check-in for this reservation, or if you cancel or change this reservation after check-in, you may incur penalty charges at the discretion of the property of up to 100% of the booking value. With a stay at Tiki Hotel Surfers Paradise in Surfers Paradise, you'll be on the Strip and minutes from Cavill Avenue and Chevron Renaissance. 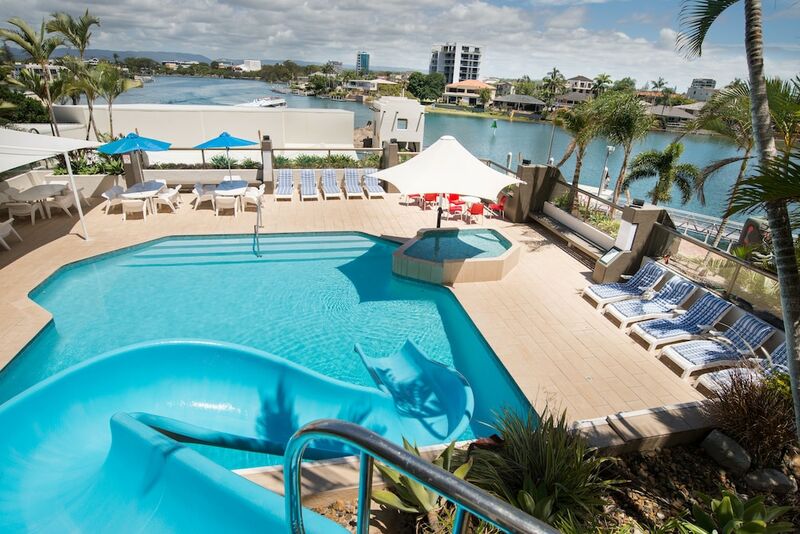 This apartment is close to SkyPoint Observation Deck and Surfers Paradise Beach. The front desk hours vary at this property. To make arrangements for check-in please contact the property ahead of time using the information on the booking confirmation. Reception hours are 9.00 AM-5.00 PM on Sundays. For more details, please contact the office using the information on the reservation confirmation received after booking.